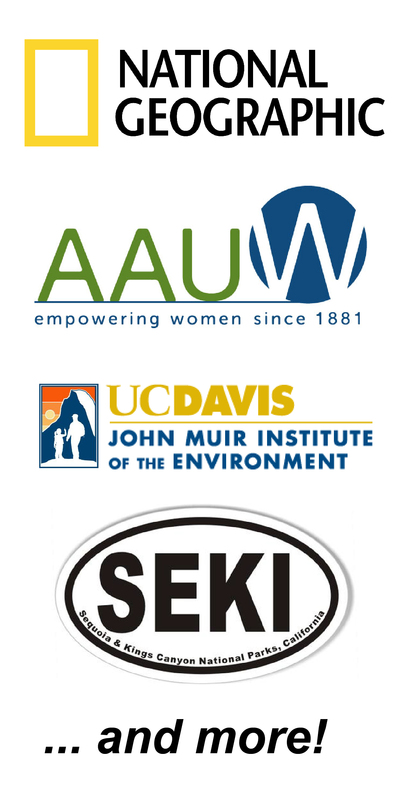 Do you know any students qualified to participate in the Girls’ Outdoor Adventure in Leadership and Science (GOALS) program at UC Davis? GOALS is intended to serve students who have completed their sophomore year (10th grade) of high school who identify with girlhood (GOALS welcomes all trans*, cis, genderqueer, and non-binary youth), and who may also identify with other backgrounds traditionally underrepresented in STEM (Science, Technology, Engineering, and Math). This includes students of color, students from disadvantaged socioeconomic backgrounds, students who identify as LGBTQA+. We are looking for students who are excited about science, the outdoors, and working on a team, especially if they have not had an opportunity to participate in these activities before. GPA is not considered in our selection process; we are not necessarily looking for the top students, but are looking for students with potential to succeed within our small-group, hands-on learning environment. No prior backpacking experience is necessary and GOALS will provide all backpacking equipment. For student applicants we require an application form and a support form from a teacher, coach, spiritual leader, family friend, or other mentor not related to the applicant who supports their application. The application and support form do not need to be submitted in any particular order, but both forms need to be received by April 23rd, 2018. We invite you to support any student you know who would be a good fit to apply to GOALS. To support students, please complete the online support form here. If you cannot fill out the online support form, please email goals.ucdavis@gmail.com or fill out the contact form at the bottom of this page to receive a downloadable support form. Printed forms should be sent via email to goals.ucdavis@gmail.com (subject GOALS Support Form – Student Name), or as a hard copy mailed to GOALS at UC Davis, John Muir Institute for the Environment, The Barn, 1 Shields Avenue, Davis, CA 95616. Support forms must be received by April 23rd, 2018. Students must complete their application online here, or if they cannot fill out the online application form they must email goals.ucdavis@gmail.com or fill out the contact form at the bottom of this page to receive a downloadable application. Printed applications should mailed to GOALS at UC Davis, John Muir Institute for the Environment, The Barn, 1 Shields Avenue, Davis, CA 95616. Applications must be received by April 23rd, 2018. We can only evaluate applications for which we have received both a support form and a student application by April 23rd, 2018. Please share the program information with the students you are supporting and encourage them to visit our website. We look forward to reading your support forms and student applications. Please feel free to share this program with any teachers who may also have interested students.